At Berlinale there was a lot of films about different cultures and places. Australian Film director Cate Shortland chose to show a movie that takes place in Berlin and focuses on the division not only of the city itself, as during the GDR, but on divisions within us humans too. The result was a psychological thriller that really gives you goosebumps. It’s a movie that shows what could happen when you just trust a charming stranger and go home with him. The film, that was first shown at the Sundance Film Festival on January 20, 2017, is based on the novel of the same name by Melanie Joosten: Berlin Syndrome. When it comes to places in Berlin that are considered as a real culture hub and as such are also divided in the most diverse influences and impressions by its visitors, The Kottbusser Tor is the place to be. It is considered to be quite a crossroad for all kinds of tourists, locals, party people, lunatics, and an intersection of various cultures, dreams and broken hearts and souls. At the beginning of the film, the Australian Backpacker Clare, played by Teresa Palmer, arrives in Berlin at exactly that junction. She goes on a photo and sightseeing tour and captures all her impressions. While being on her tour she meets the English teacher Andi, portrayed by Max Riemelt, at a traffic light and goes on a stroll with him. Both feel a connection and it ends up in an One Night Stand at Max’s apartment. When Clare wants to leave the morning after, she finds the door and all windows to be closed and therefore is trapped in his flat. Still, she takes it calmly, thinking it was just a simple accident, and spends another night with Max. It is only after the second time the same incident occurs that she begins to panic. Since the old building is mostly empty and the windows are out of security glass, no one even notices Clare’s crying for help and attempts to leave the apartment. As the film goes on, the viewer is able to observe Clare’s various attempts to escape, her hope, her way of calming herself down, her hate and at the same time affection for her abuser. In particular, Max turns out to be a real psychopath, who tortures Clare in the most painful ways. At the same time, the viewer gets to know more little hints about his psychological distresses, that go back to the diversion of Berlin and his mother living on one side of the wall, his father on the other. Max still holds on to his anger from that period of his life and is incapable of keeping normal friendships and contacts. But as describes before, Max isn’t the only character in this movie that shows a division in his character. When it comes to Clare, one could clearly speak of a developed Stockholm Syndrome, a phenomenon in which the victims puts up a positive relation to its kidnapper. 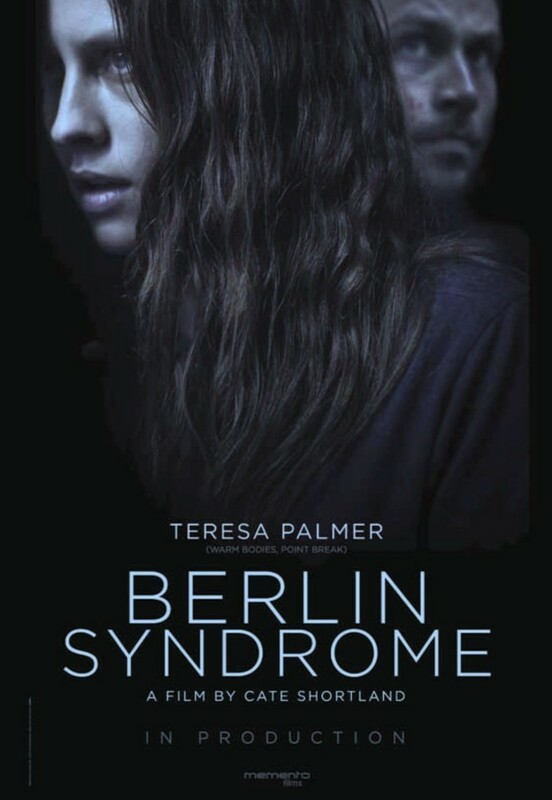 Only this time, it seems as if we could talk about the Berlin Syndrome. The film remains thrilling and manic at some points. But the end won’t be revealed. You have to find out for yourself! The film is shown in cinemas from May 25th, 2017. UPDATE: On May 22nd & May 23rd 2017 there will be a pre-release screening of Berlin Syndrome before its theatrical release as part of our upcoming Berlin Film Nights program that we are hosting together with Mobile Kino and that runs from May 19 – 23th.